When I was a child, craftsmen’s shops (or “botteghe artigiane” as we call them in Italian) were very common. You could take your shoes, or even your gloves and stockings, to a shop where someone would repair them. You could buy material and have an outfit made. You could bring wood in and have a piece of furniture made out of it. Over the last 30 years most of these shops and professions have disappeared. Finding someone to fix a heel is practically impossible: it’s much easier to throw your shoes away and buy a new pair. 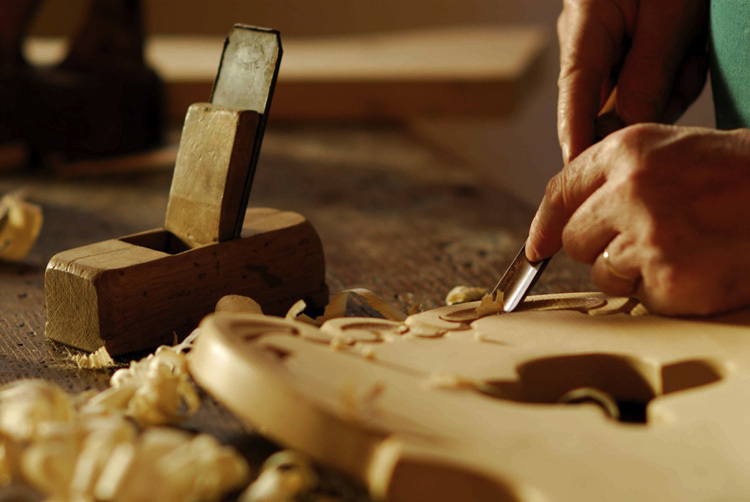 In our village there is still a very skillful carpenter, Biagio Lampoglia, who has a workshop near our Casina di Rosa. He specializes in restoring old pieces of furniture, and the way he works is absolutely fascinating. His wife has a shop in the nearby village of Paganico called “La Medievale“, where they sell these restored antiques. My great-grandfather and my grandfather were also carpenters. 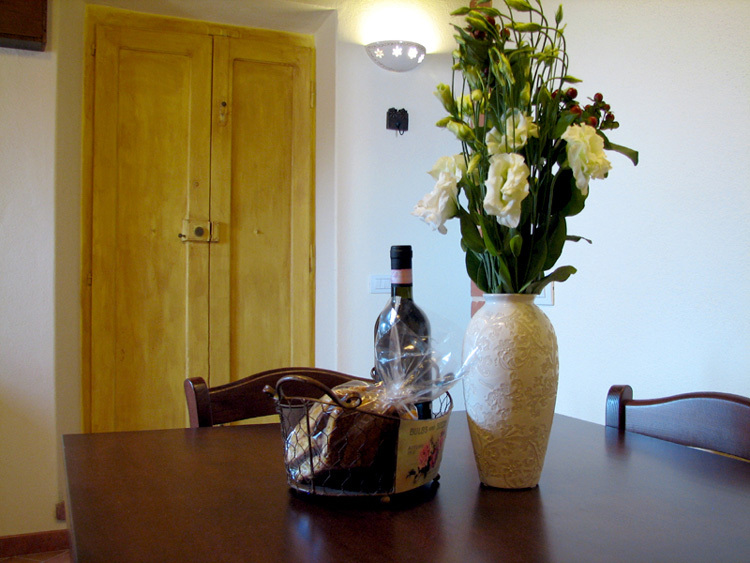 They actaully made the front door, the windows and some of the pieces of furniture that are still in Casina di Rosa. 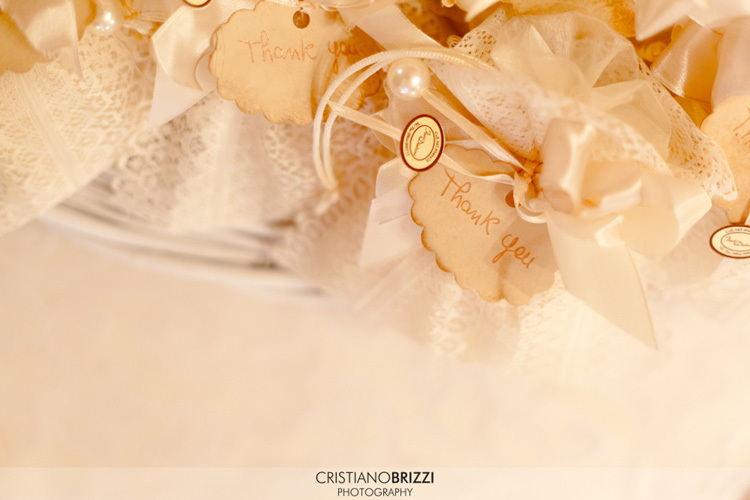 When we renovated the property, we asked Biagio to restore them and he did an amazing job. He brought them back to their old splendour, in a way that only a gifted craftman could do. 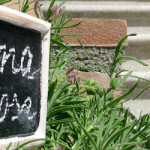 Another amazing “artigiana” is Lorella, the local florist. She is such a talented artist! Not only does she create beautiful flower arrangements but she actually makes beautiful crafts and decorations. She has a shop in the village called Fiori e Dintorni, where she also sells the traditional Tuscan ceramics by another local craftsman. In Pisa, “botteghe artigiane” have practically desappeared. There is one, though, which has been one of my favourite since I moved to the city to study at the University there in 1994: Max il Cuoiaio. 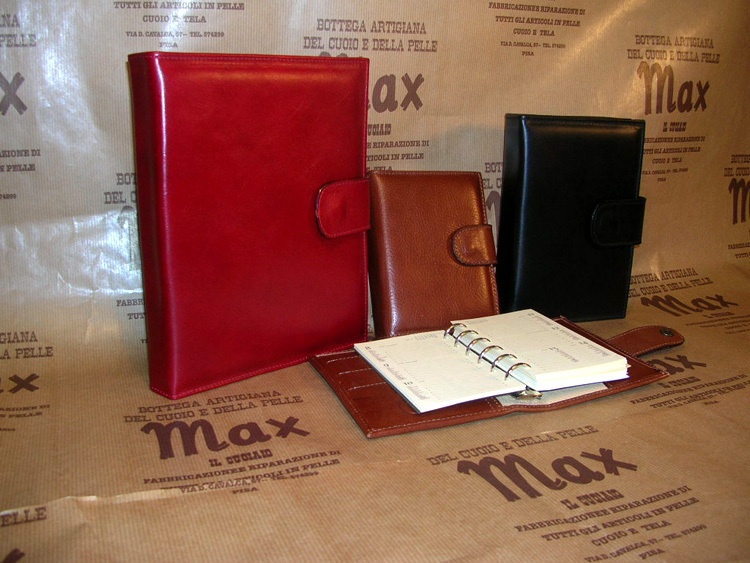 Max il Cuoiaio is a leather shop which belongs to a craftsman who has been in the business for 30 years and who personally makes every single piece sold in the shop. If you ask him, he will proudly explain that he works according to the ancient local tradition. 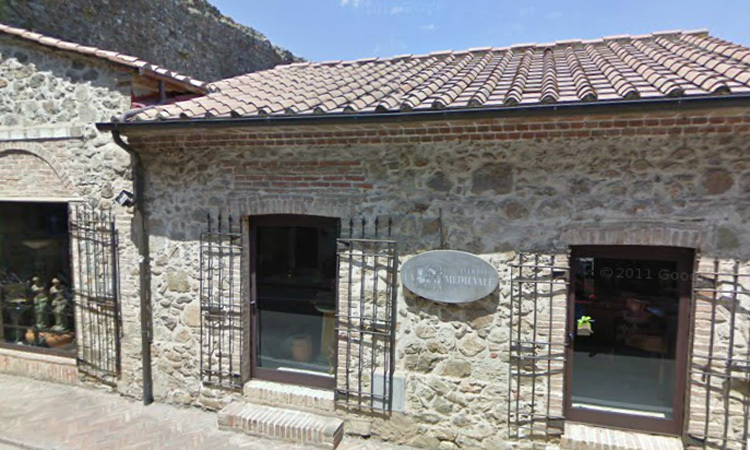 I find extremely fascinating the fact that the workshop is in the heart of the ancient quarter of Santa Maria, which used to host the leather workers in the Middle Ages. The location was ideal, being close to the river banks where they could find abundant water, necessary to dress leather. 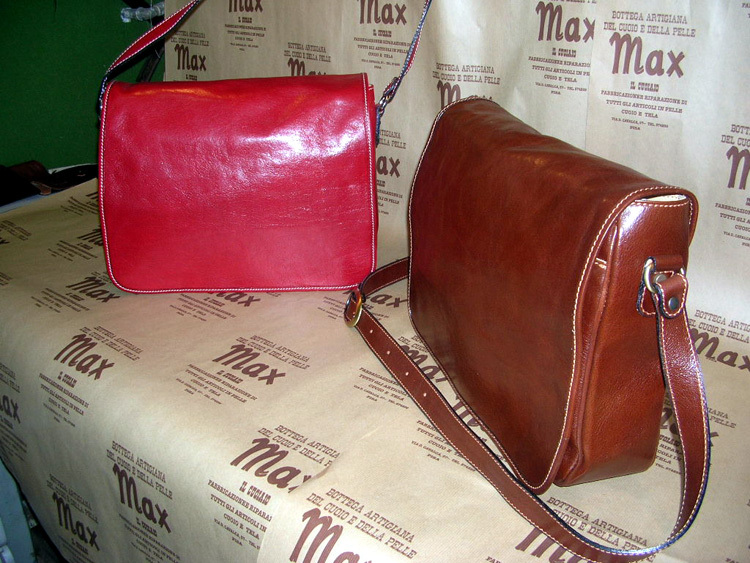 At Max il Cuoiaio you can find both coloured and natural leather bags, wallets, planners, keychains and suitcases and if you want anything special, they will be happy to custom make anything you want. Many students have the front cover of their graduation thesis (tesi di laurea) custom made. Besides making leather goods from scratch, the shop also repairs damaged goods, but only if they are made of pure leather. Contrary to what one would expect, prices are very reasonable. 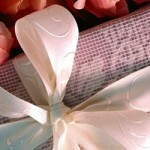 And they have an online shop (both in Italian and English): tradition meets modernity! 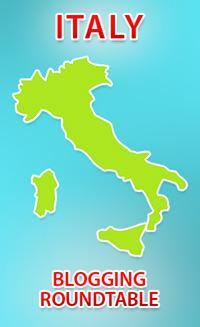 Slow travelers to Tuscany might find the “albo degi antichi mestieri di Toscana” interesting. It is an online database listing all the “artigiani” in the region who are keeping alive some ancient trades. I wrote a post about it a while back: “Antichi Mestieri”: Old Trades in Tuscany. It could provide some good ideas for alternative day trips which will take travelers to beautiful places off the beaten path and provide them with a great learning opportunity. There is no better way to get to know the culture of a place than to learn about its history and the way local people used to live. I can’t wait to take my child to visit some of those workshops, hoping that in a few years they are still thriving and a great living reminder of Tuscany as it used to be. I find it so heartening that there are still so many artisan workshops who are able to survive in the modern economy…let’s hope it continues that way!